• 450 mm (17.7 inch) sealing length. • 0.2 inches (5mm) wide seal. • Includes Full Spare Parts Kit. • Impulse Sealing System - Seals Uniformily - Every Time. • Timer for Sealing Control. 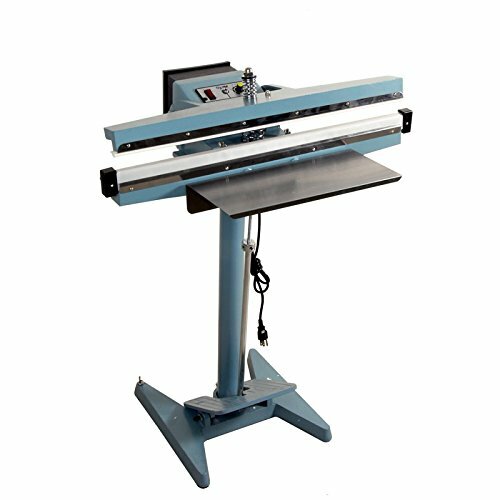 • Adjustable Work Table Height. • Voltage: 110 V / 60 Hz.